On the Twelfth Day of Christmas…A Treat for Your Little Princess! Well that’s it – 2013 is over and so are my 12 days of 2013! I hope you enjoyed my stroll through all the families, newborns, bumps, little ones and weddings. I wish I could have included them all but some I didn’t want to spoil as images have been captured for birthday presents, some parents didn’t want their photos shared (two times playgroup sessions) or they are simply commercial shoots. Looking forward to the Weddings, Christenings, Family, Ladies Day and Newborn shoots already booked in for 2014 – I think it’s going to be another busy year! To celebrate the New Year, I am offering a unique event! 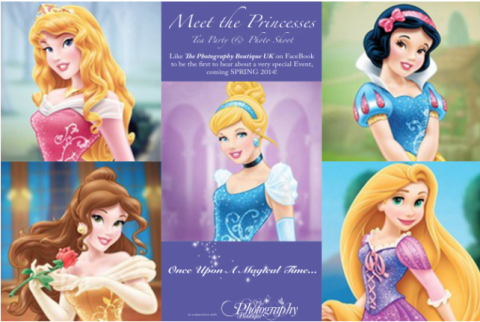 Would your little Princess like to have afternoon tea (and photos) with Aurora, Snow White, Belle, Cinderella and Rapunzel – for just £10?? Of course she would.